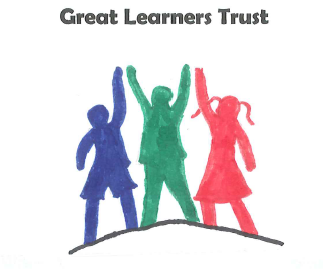 The Great Learners Logo Competition has been won by Katie, at Princes Risborough Primary School. Her winning logo (below) will be used for all Great Learners documents and on the website. Congratulations to Katie! Great Missenden Highly Commended and Runners Up prizes will be given out on Friday 9th June - there were lots of really superb entries and it was very difficult for the Trustees to choose a winner. Some of the shortlisted designs are here on the website - look on the Children's Page, in the Gallery - amazing work! Thank you and well done to all.